Tulalip Tribes Vice Chairwoman Teri Gobin and Tribal Council Members Les and Jared Parks cut the ribbon at the Remedy Tulalip soft opening. 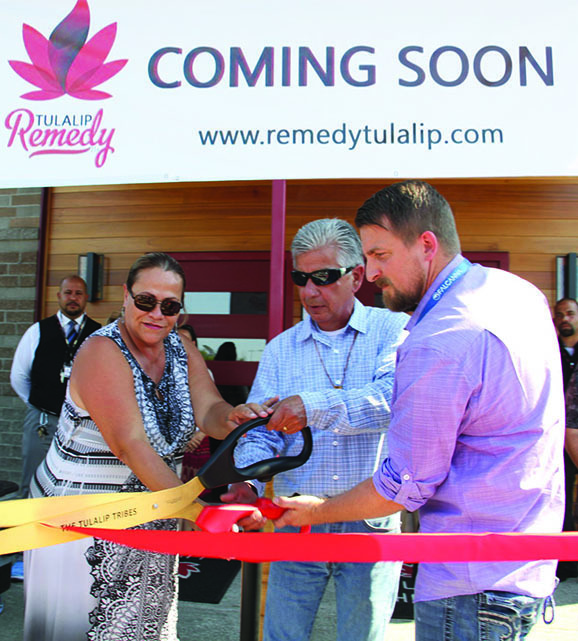 The Tulalip Tribes held a ribbon cutting ceremony and soft opening for the new recreational marijuana dispensary located in Quil Ceda Village at the old Key Bank. 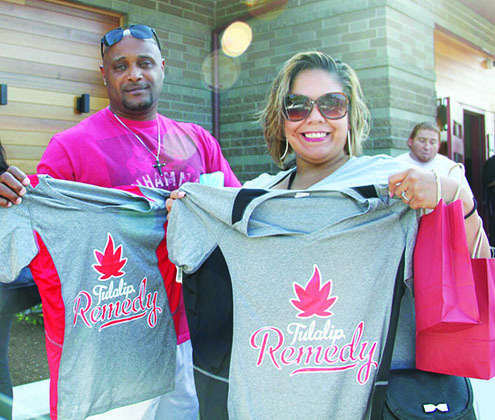 Remedy Tulalip is the tribe’s flagship cannabis store that was long rumored since Washington State voters passed bill I-502, legalizing the use of recreational marijuana for citizens ages twenty-one and older, back in 2012. Word was, the Tribe set their sights on the Key Bank location nearly two years ago, which kept community members debating if and when the store would open. The Tribe believes it will be well worth the wait and plans on Remedy generating plenty of revenue because of its prime location near the Tulalip Resort Casino, the Seattle Premium Outlets, Walmart and Home Depot, which is sure to attract a number of cannabis enthusiasts, from locals running errands to high rollers at the casino. Upon stepping into the store, your eyes are immediately drawn upwards to the artwork along the inside of the building’s corners which showcases an orca swimming in the Salish Sea, Big Foot walking amongst the trees and the Cascade mountain range. Another thing you may notice is the number of staff, or cannabis concierge, who are available to help you find the perfect strain. The concierge in red shirts work the retail floor and are equipped with iPads. These team members typically have prior experience in the marijuana industry and are very knowledgeable about the products offered at Remedy Tulalip. The concierge in green shirts assist guests from behind the counters, retrieving their orders from the inventory room as well as taking their payments. The new recreational pot shop will work with local companies to provide a variety of cannabis products including flower, oil, edibles and wax. The store also offers an assortment of glass and CBD products as well as a membership program. The Tribe has big plans in the future for Remedy Tulalip which may include expansion stores along I-5. Tulalip also intends on exploring the many benefits the plant can offer medicinally, to help heal their people and combat the opioid crisis. Remedy Tulalip is open daily from 9:00 a.m. to 10:00 p.m. For more information, visit www.RemedyTulalip.com. 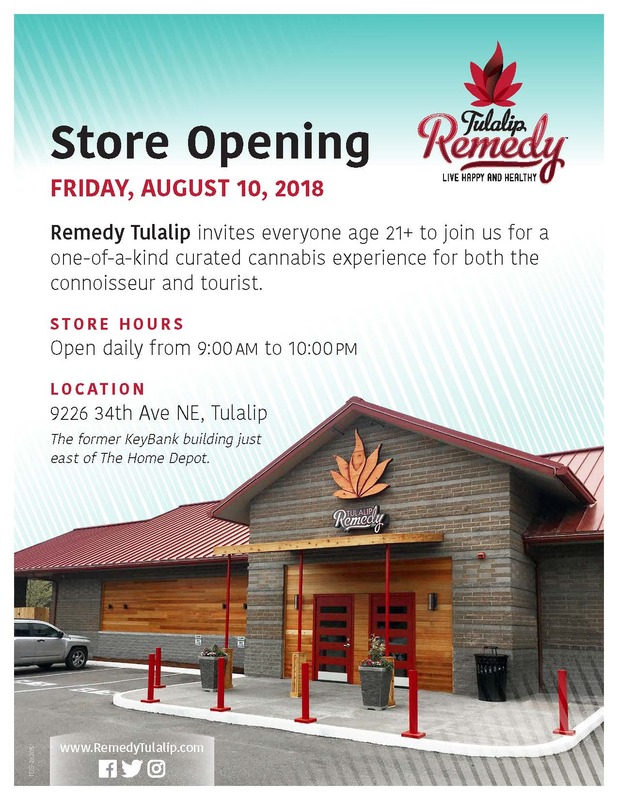 TULALIP, WA—August 6, 2018 —The Tulalip Economic Development Corporation (TEDCO) is opening the doors to Remedy Tulalip, its flagship retail cannabis store, and among the first cannabis dispensaries in the United States to open on a reservation. Remedy Tulalip joins the bustling retail sector in Quil Ceda Village, the Nation’s second federally-recognized city, and a consolidated borough of the Tulalip Tribes. Remedy Tulalip aspires to provide a curated cannabis experience designed for both the connoisseur and the tourist alike, with a focus on offering a unique, informative customer experience. 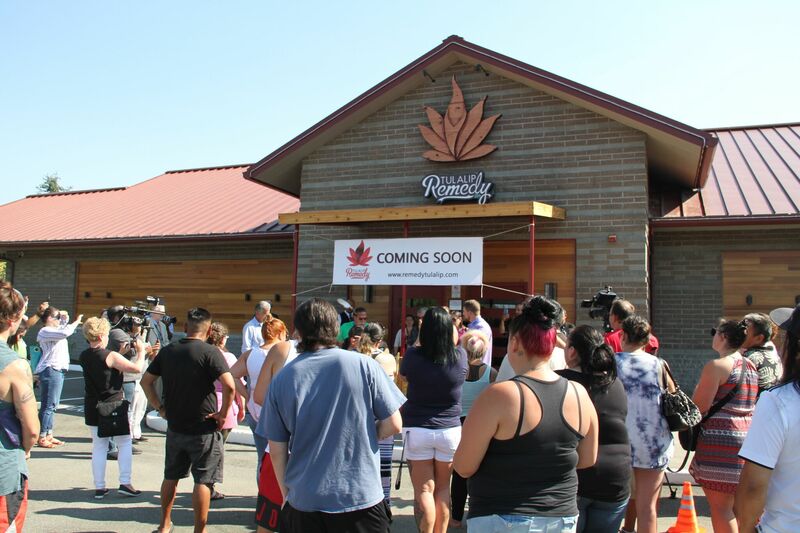 As one of only four tribes in Washington State in retail cannabis, Remedy Tulalip aims to be the top-performing retail store in Washington, and a symbol for the role that Indian Country will play in this rapidly expanding new industry. Remedy Tulalip aims to be the busiest, most technology-driven retail cannabis store in the region with an interior design that integrates the unique natural and traditional aspects of Tulalip into the retail experience. The Remedy Tulalip model prioritizes staff engagement and education, a unique customer experience, and buying practices that reflect the value of diversity, sustainability, collaboration, and transparency. “We are lifting the industry by expecting and supporting excellence from all of our suppliers. While much of the industry works from a bottom up model, we have intentionally flipped that to focus on high-quality and hand-curated products that reflect the Tulalip brand,” said Jonathan Teeter, Assistant General Manager for Remedy Tulalip. An infection in his foot had spread to his spine and deteriorated the bone, exposing nerves. Doctors replaced the bone with titanium steel. For two years, the infection, even with prescription creams and antibiotics, kept coming back. The Indian Health Service recommended amputation of his foot. Then he remembered a documentary he had seen years earlier about medical marijuana, and how it was used by cancer patients for pain relief. He ordered a topical cannabis ointment, and when he applied it he felt immediate relief. 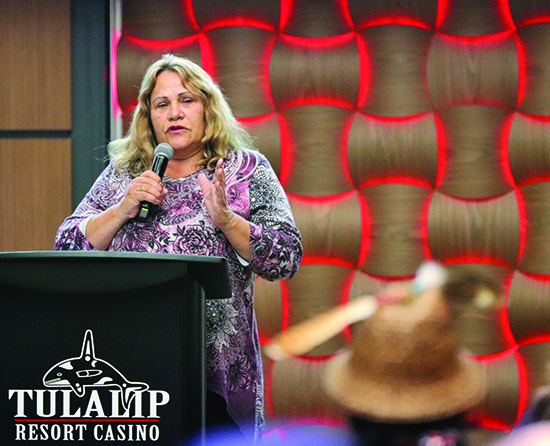 The conference brought together some 75 tribal representatives, along with hundreds from the state and federal level in addition to cannabis industry leaders on the Tulalip tribe’s $200 million resort and casino in Washington state. This was in response to a Department of Justice memo directing US attorneys nationwide not to prosecute federally-recognized tribes conducting marijuana-related businesses on reservation land—so long as they meet nine criteria, including the prevention of criminal elements from profiting from marijuana sales, and keeping cannabis products away from minors. While most of the presentations at the conference addressed the legal, infrastructural, and financial concerns of running a marijuana business on the reservation, Anderson’s story highlights the incredible medical needs faced by many tribal members. Native Americans have the highest rates of high-risk drinking and suicide of any American ethnic group, according to research from the NIH and CDC, respectively. In the past two decades, opioid deaths and cancer rates have continued to climb. On Anderson’s reservation, tribal members’ health had been harmed by a coal power plant that blew coal ash through their community; its waste ponds poisoning their ground water. They fought back and shut down the plant, but this story is all too common throughout “Indian Country;” Native American communities pay a heavy price, both in regards to environmental and public health, for US energy development. Amanda Reiman, manager of marijuana law and policy at the Drug Policy Alliance, assured tribal leaders at the conference that cannabis could actually help Native American communities battling addiction. A recent study (paywall) found that marijuana acts not as a “gateway drug,” as it is often characterized, but as a less harmful replacement for alcohol. In states that have legalized medical marijuana, the researchers found that the number of alcohol-related traffic fatalities per year decreased by as much as 11%. It is estimated that, in the United States, alcohol-related deaths total 88,000 per year. The statistics are even more dire for Native American communities: nearly 11.7% of Native American deaths are alcohol-related, compared to 3.3% for all Americans. Another study published just last year in JAMA Internal Medicine found that opioid mortality rates were lower by 25% in states that had legalized medical marijuana. Native Americans have seen opioid-related (prescription painkiller) deaths increase since 2000 to a rate that is 3 times that of African-Americans and Hispanics, according to the CDC. Nationally, these drugs now kill more people than car crashes. As the medical establishment has reigned in opioid over-prescription, patients who had become addicted to painkillers have increasingly turned to heroin—once associated with big cities, but now a booming trade in poorer, rural areas. Last week, the Saginaw Chippewa tribe in Michigan banished two tribal members for trafficking in heroin. On Feb. 20, a couple from the Lummi tribe in Washington state were sentenced to prison for conspiracy to distribute heroin and methamphetamine. Meanwhile, yet another study made headlines after finding marijuana to be 114 times less deadly than alcohol. Alcohol, followed by heroin and cocaine, was found to be the most dangerous recreational drug. Tobacco came in fourth, and cannabis a distant last. With all the research and evidence regarding the safety and innocuousness of marijuana piling up, it is no wonder that the federal government has taken baby steps to revise its once harsh prohibition of the drug. For example, a US district judge in Sacramento, CA, heard the final arguments on Feb. 11 on a hearing regarding the constitutionality of the 1970 Controlled Substances Act that classified marijuana as a Schedule 1 drug. This is the first reconsideration of the act’s claims that marijuana has “no accepted medical use”—a rather foolish assertion considering that that 23 states and the District of Columbia now permit the distribution and consumption of medical marijuana. She is expected to rule within the next week. Still, many Native Americans, long used to fighting addiction in their communities, see the opportunity for the sale of marijuana on their lands as yet another Trojan horse delivered by the US government. They worry about its implementation. For Native American communities, the issue of marijuana legalization represents both unique challenges and prospects for success. It hinges on careful negotiation with multiple federal agencies, from the DEA to the IRS. The unique relationship federally-recognized tribes have with the US as “domestic dependent nations”—a designation that recognizes both the inherent sovereignty of pre-existing indigenous nations, but also reflects the power of the US to limit the exercise of that sovereignty—is a careful dance that tribes have had to conduct with the most powerful nation in the world for decades; and this new opportunity may serve as a long-awaited chance to restructure that relationship, just as casino-gaming did a generation ago. The conference ended with tribal leaders agreeing to meet again in Las Vegas on Mar. 12 at the Reservation Economic Summit to vote on a charter for a new inter-tribal cannabis trade organization. “I think tribes can be first to market here. I really do,” said Hilary Bricken, a cannabis attorney in Washington state, and another of the organizers of the conference. She urged tribes to consider entering the marijuana banking services industry. Although Bank of America has agreed to handle Washington state’s marijuana tax income, only small credit unions have taken on lending to legal, licensed marijuana businesses. A few tribes have gotten involved as payday lenders, but full realization of reservations as “off-shore banking” magnates on the mainland US has not yet occurred. 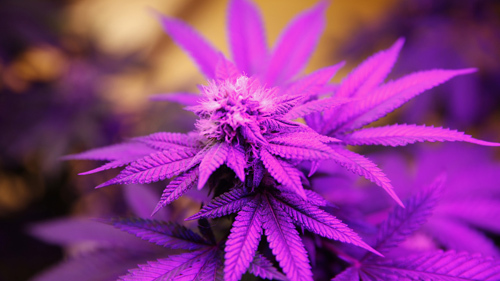 A niche banking services market like marijuana could provide the impetus. Les Parks, vice chairman of the Tulalip tribe’s board of directors, shared a video of a local Seattle television-news report on the medical marijuana extract CBD, which is used to relieve epileptic seizures and hold big dreams for tribes in the pharmaceutical industry. “We can lead this country in CBD drug development and be the next big pharmaceutical company,” he said. A number of Native Americans came with cannabis company partners to the conference. William Anderson was one of them. He is working with Strainz, a medical cannabis products and services company. “This cannot just be about making a quick buck, but about economic development and being more independent, not dependent on the government, which I don’t like but is unfortunately the reality for our people,” Anderson explained. As a former tribal chairman, he’s had experience doing just that. Under his leadership, his tribe not only got rid of the coal plant, but opened the first solar plant on any reservation in the country, and has since been approved to build a second. You can follow Jacqueline on Twitter at @jfkeeler. We welcome your comments at ideas@qz.com. While a patchwork of state laws have given marijuana quasi-legal status in 24 states, status on many tribal lands remains prohibited, or at best uncertain. 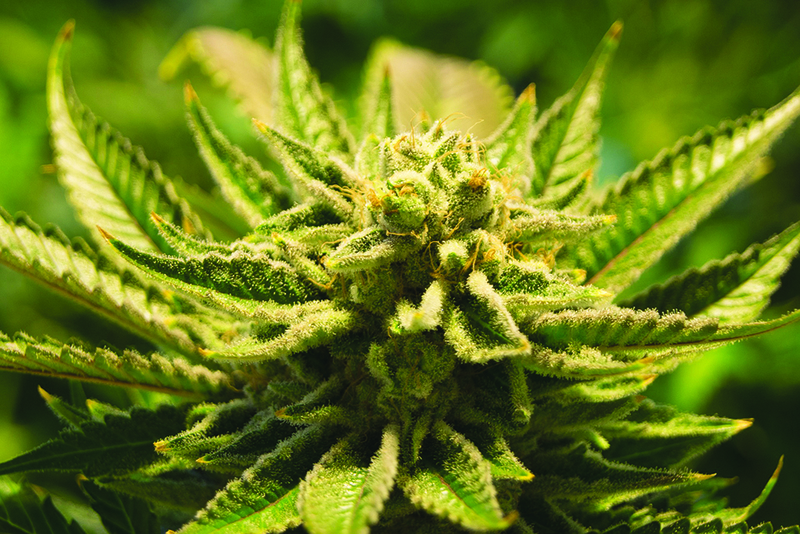 Many tribes are content to adhere to federal prohibitions, but in PL 83-280 states (notably Washington, with legal recreational use), some are considering or even embracing the economic development potential of growing and distributing marijuana. In general, medical marijuana laws have not been recognized on tribal lands, with some tribal members even facing exile for using state-licensed cannabis on their reservations. Many non-tribal members have also been cited for possession on the reservation, and although some legal experts hold that jurisdiction is unclear, the Salt River Maricopa-Pima Indian Community has successfully defended impounding cars of card-holding medical marijuana patients. 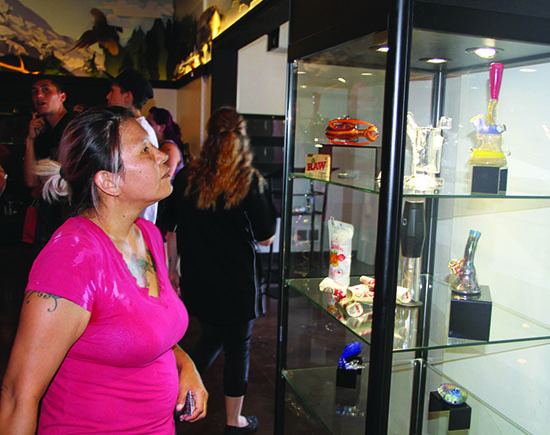 Other tribes have requested their state’s licensing authority not to permit dispensaries near reservation boundaries. Tribes in most states—including Colorado, where recreational use is also legal—follow federal law on marijuana use, possession, production and distribution. While some at the Ute Mountain Ute reservation have recommended initiating community discussion on the topic, the Southern Ute have come out very strongly against adhering to Colorado’s recreational marijuana laws. The fact of the matter is that tribes have experienced more harm than good by illegal growing, cartel activity, and children being endangered by adult use or being recruited into gangs. 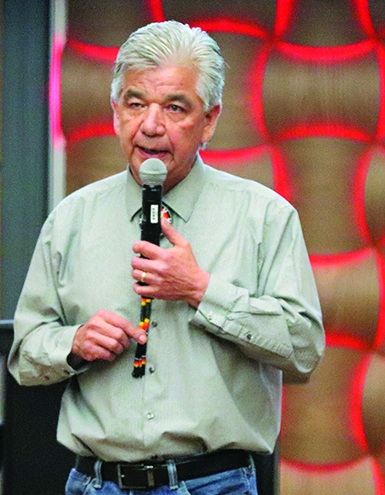 Other tribal leaders cite problems with allowing marijuana in Indian Country such as losing subsidies for low income housing and BIA funding; IHS and tribal health services capacity strained by already high rates of drug and alcohol abuse; adding a burden to tribal law enforcement departments, courts and other agencies; and loss of employment due to failing drug tests. This last could spell big problems for recruiting and retaining a number of public trust positions, such as firefighters and police officers. Washington tribes may end up establishing precedent for a thoughtful approach to establishing marijuana laws that suit the needs of the community. Yakama has not only come out strongly against allowing recreational or medical use, but has extended its ban to all the tribe’s ceded territory, and the Washington State Liquor Control Board is automatically denying grow or distribution applications within the disputed area. Likewise, most of the tribes on Washington’s Olympic Peninsula are upholding federal law, in part because of strong community commitment to drug abuse prevention, and in part because of prohibitions on adjacent National Park Service and Forest Service lands. On the other hand, the Pullayup have aligned their tribal criminal code with the Washington State code to permit recreational marijuana use, and several retail outlets have opened in and nearby tribal lands. The Suquamish have approached the state about permitting sales by the tribe and tribal business, but the state is seeking federal guidance before considering the application. The S’Klallam initially came out strongly against it, but are now taking a “wait and see” approach. The Department of Justice is busy trying to sort these problems out as well. In a 2013 memo to all U.S. Attorneys, Deputy Attorney General James Cole points out several concerns that translate into public safety priorities, which should concern local police as much as federal law enforcement. These priorities include preventing distribution to minors; revenue from going to cartels and gangs; other drug trafficking under the guise of “legal” distribution; environmental degradation by illegal grow operations; possession where prohibited; violence and the use of firearms in cultivation or distribution; and drugged driving. 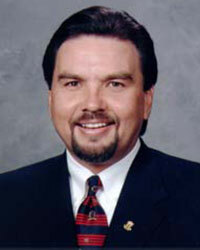 Walter Lamar, Blackfeet/Wichita, is a former FBI special agent, deputy director of BIA law enforcement and is currently president of Lamar Associates. Lamar Associates’ Indian Country Training Division offers culturally appropriate training for Indian country law enforcement and service professionals with both on-site and online courses.